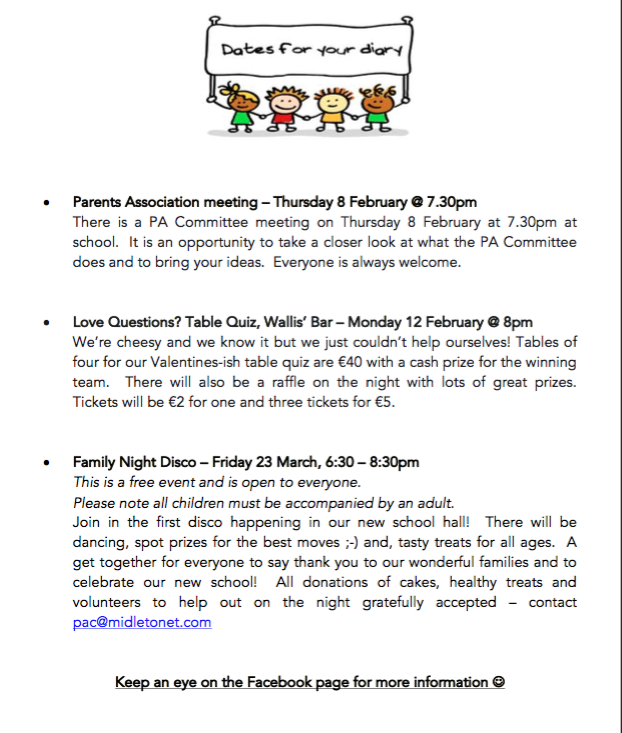 Parents Association Page – Midleton Educate Together N.S. 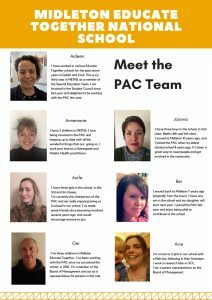 WHO ARE THE PAC AND WHAT DO THEY DO? Every parent or guardian of a child in an Educate Together school is part of the Parents Association. This means that you have a unique opportunity to get involved with your child’s school, whether that be on a Board of Management level, Parents Association, fundraising, volunteering in the school or helping out at event! 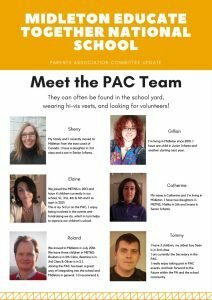 Would you like to join the Parents Association Committee? Maybe you can’t commit to joining the committee but you’d like to get involved? We’re always looking for people to help out at events. 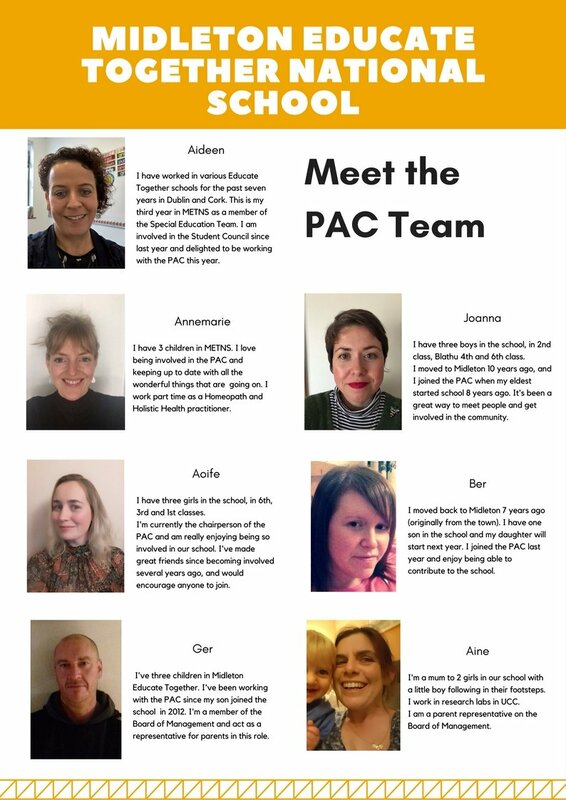 Take a look at what we have coming up and email pac@midletonet.com to let us know how you can help. Do you own a local business who could donate spot prizes? We have raffles at most of our events so prizes and games are always welcome. Do you love baking? Our cake sales are always great fundraisers and they’re only made possible because our parent body donate such amazing creations! Can you offer an after school activity for the children? Get in contact! There are lots of way to help out at the school, and every little bit of volunteering helps to make our school such an amazing place for our children to be. 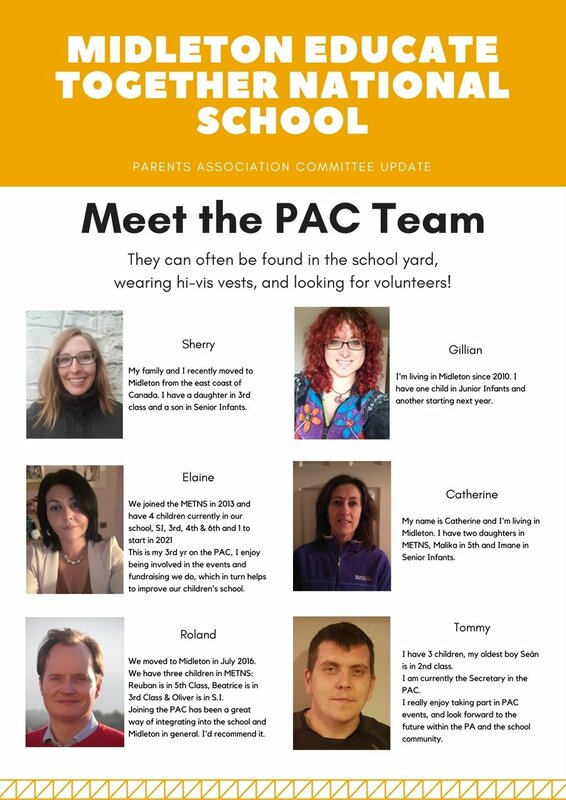 Meet the Parents Association Committee! Please contact the Parents Association Committee at pac@midletonet.com with any questions or queries.